Monica L’s (S4/OLSP) Standard Grade Exam image is such a beautiful image. The warm luxurious purples in the red onions draw your eyes to the right of the image, then after being awed by the detail of the skin and the flesh, the viewer can cast their eye around the muted colours of the garlics, cloth and cardboard background. Monica worked none stop during her class time and put a lot of after school time in to fine tune this image to look its absolute best. It’s what art is about… mastery, skill and beauty. 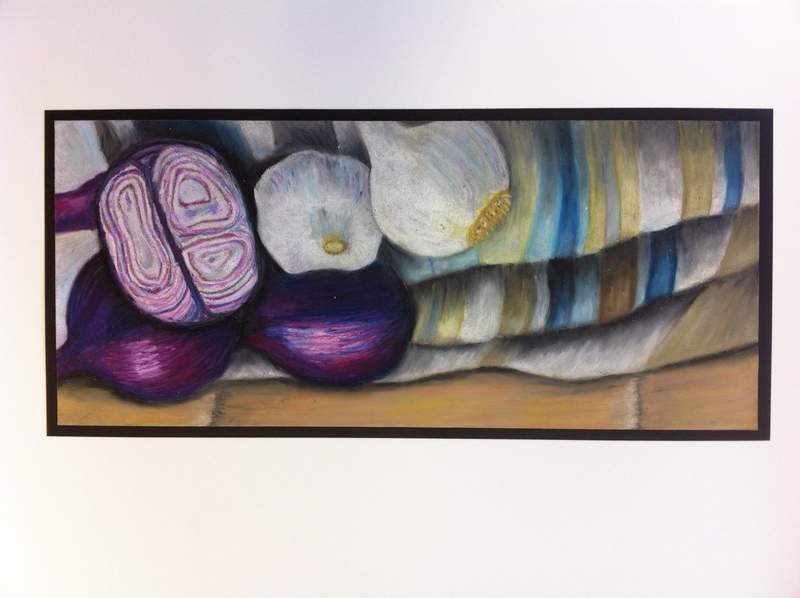 Monica was awarded my S4 Art Pupil of the Year award.